See what others had to say about JJ Birden. Earlier this month our office had the pleasure of hosting JJ Birden for a lunch presentation. His message was impactful, direct, and relative to all of our employees. He weaves stories from his athletic life and blends it with his business acumen to deliver a presentation that is consumable and enjoyable to a wide audience of people. In addition, he and his wife are kind and responsive individuals. So if you have a group of employees, students, athletes (really his message can work for any group) I would highly recommend JJ to speak at your next event. Thank you so much for speaking to our office earlier this year. You were highly motivational and communicated with our financial advisors in a way that they connected with. Your humanity, compassion, and enthusiasm really come through in your presentation and it’s clearly one of the best I’ve seen. I was at a dinner party Saturday night and 2 people were talking about your presentation, even though it was several months ago. Thank you so much for the positive impact you’ve had on our people! We hired JJ to speak at our Kick Off Meeting for Ahwatukee Boys Team Charity. He was recommended by several other Arizona chapters and let me say…. He did not disappoint! From the moment we secured our date the process was so easy and he and his team were kind, warm and incredibly helpful! JJ spoke to a room full of over 130 boys and their parents ranging from ages 12 to 18. His message couldn’t have been more on point. He talked about earning entitlement versus demanding it. The entire room hung on every word. One of the best messages he drove home was about motivation and how if that is strong enough, the process to get there is not a challenge. It was such a great message for these boys. His story connected with each of us and the buzz from our meeting hasn’t stopped. He was such an inspiration and knew exactly what we wanted without even me knowing it! Thank you to JJ and his team for an incredibly positive experience and for what he does – changing the lives of young people every day. He really does live what he shares – you can see it in everything he says and does! In my 16 years in sales leadership, I have heard from some of the best motivational speakers in the world. JJ Birden was by far one of the best motivational speakers I have ever heard. His passion, content, and stories were so relevant to any sales-person or leader. His passion and storytelling had my team of 300 Aflac associates and managers laser focused on every word. JJ is a true professional who took the time to speak to me the week before my meeting to understand our company and culture. I would recommend any sales organization to bring JJ into your next meeting if you are looking for a lift. A week later I still have Aflac associates talking about his motivational speech! JJ was very easy to work with and completely understood our ultimate objective. He connected so well with our audience he had a line for over an hour of people waiting to purchase his book, and thank him. What I appreciated the most was that he was so gracious with each attendee that came to the table to speak him. JJ spoke at my Client Recognition Event. He was genuine and tailored his presentation to the audience. I received great feedback from my clients as he was personable and shared the story of his journey and challenges in the NFL. I would recommend his to anyone that wants to inspire and motivate a group of people. I worked with JJ to coordinate speaking on Leadership and High Performance at the April 2017 IIA Phoenix Chapter meeting. He worked to prepare for our specific audience and brought an energy and focus to the room that was captivating for the duration of his message. JJ commands a great stage presence that allowed the attendees to learn and relate to his message. As the President of University of Oregon Alumni San Diego Chapter, I had the pleasure of hiring JJ Birden to speak at the 13th annual Taste of Oregon event May 7, 2016. The event raises scholarship money for disadvantaged freshman that will be attending the University of Oregon. Never in all the prior 12 Tastes of Oregon had I witnessed any speaker hold the audience with such rapt attention as JJ did. Even though the event was outdoors, you could hear a pin drop. He combined his remarkable life story with real-world teachings that inspired and motivated all 87 in attendance. It was a remarkable evening. I recommend anyone considering a guest speaker for any size event to hire JJ Birden. JJ Birden was excellent to work with and did a great job learning about our company and the audience he would be presenting to. He tailored his personal experiences to our audience in a way that they would relate to and learn from. I would highly recommend JJ Birden! JJ recently spoke to our group about his story and how to seize opportunities, even in the face of adversity. JJ Birden is a highly effective speaker who captivates his audience with his infectious positivity, poise, and seamless delivery of his life story. Although his past struggles and setbacks are plentiful, his relentless perseverance is admirable. His story takes place in the NFL, but his message is universal. Sports enthusiasts or not, your audience will connect with JJ's story on a personal level and will hopefully siphon some of his "can do" attitude! JJ took the time to understand our industry and personalities of the group and speak directly to our group. His energy kicked off our conference perfectly. He was the talk of the conference! Christy Sipos, Marketing Manager CIVILTEC engineering inc. 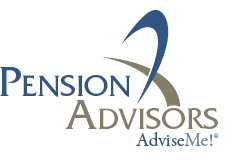 In September, my company Pension Advisors hosted a Client Appreciation. We wanted to have a non-industry speaker to motivate, inspire, and connect with our clients. JJ did that, and beyond. My clients ranged in industry, location, and age, and JJ was a Home Run. JJ’s message to me why about hard-work, and persevering, and while a former professional athlete, he was very humble in how he talked about his approach to overcoming tremendous odds to get where his is today. I would absolutely recommend JJ to anyone. He is the real deal, and a joy to deal with. He is personable, fun, engaging, and one of the most professional people I have ever dealt with. JJ delivered an exceptional presentation! He was prepared, confident, engaging, and compelling. The Sales team was inspired by his message. From initial planning to message delivery, JJ was a fantastic partner! JJ was a phenomenal speaker whose message really resonated with our crowd (High School Graduation Ceremony). He was prepared, on time and provided a clear and concise message to everyone in attendance. We had multiple families express their gratitude after the event for his speech and the message he delivered. I would highly recommend JJ to anyone looking for a dynamic public speaker capable of captivating a room. 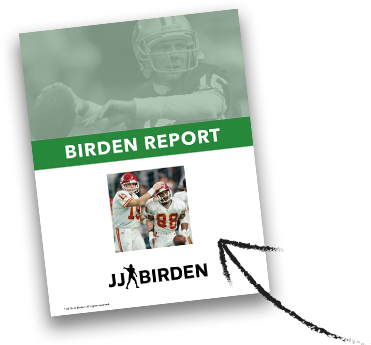 It is with highest regard that I recommend JJ Birden as a guest speaker for your special event. He is an outstanding person of character and presents himself with confidence and humility. Because of his speaking skills and personal story, our parents and student athletes were attentive during all of his presentation. Afterwards, he was approached by many who wanted to compliment him for his honesty and achievements. Mr. Birden is second to none in his abilities to connect with his audience and we look forward to another awesome event with him in August.